Introduction to our soon to be published new manifesto. Have you heard of the expression: ‘when you need something to believe in, start with yourself?’ This is a comment often cited, and, at its very essence, is ‘truth’. Basically, if you want something badly enough, then you have to do it yourself; you cannot rely on others to accomplish what you want to achieve. This mind-set transposes from day-to-day activities to the world of ‘politics’, be it at a national, regional or local level. The attitude amongst the majority of people on the electoral roll amounts to ‘Oh not again’, ‘just get on with it’, or ‘my vote doesn’t change a single thing, so why bother?’ Hence, low turn-outs at elections are an inevitability, which benefits those with a vested interest. It is that ‘elite’ who, through an assumed apathy and distrust of the existing political system shown by the voters, are able to be elected by default and thus become very comfortable as a democratically elected representative who does not have the support of the majority of voters but revels on those who did not turn out to vote, because of a total distrust in the current system. Of course, under any democratic system, it is your right to vote as you choose. This is not under dispute. What is questionable, however, is this: if you vote for a traditional party under the English electoral system, is your voice really being heard? If you reflect on that question, are you satisfied that you are making an impact? Or, is there a doubt in your mind: a voice that says: ‘my opinion counts for nothing: my vote perpetuates the status quo where those with vested interests are able to pursue their personal interests behind the guise of a democratic election? This is why the average person on the street; the office worker, the teacher, the shelf-stacker, the unemployed, the homeless, the nurse, the refuse disposal operatives, to give them the politically correct description, otherwise known as dustbin men guys, the student, in fact anyone, has no real faith in traditional politics, or even dare I say, in new politics. This needs to be corrected: quickly and without delay, because otherwise we, as a population, are prepared to be consumed by a system which does not care for us, does not appreciate our feeling and perceptions, but chooses to ignore them at their convenience. And do you know what: I accept that premise; ‘I get it’. I have often felt that living in a particular location, necessarily implies that however I vote won’t make a single jot of difference, so why bother voting: nothing will change despite my opinion, so quite frankly I can’t be bothered. Are you correct in your assumptions? Once, I would have said ‘Yes’: now, I say ‘No’. Why has this shift come about? It is quite simple: I have become aware of The Blue Revolution. ‘yellow’ is the colour adopted by the Lib-Dems. In the instance of The Blue Revolution the colour refers to ‘blue collar people’: the anonymous person often quoted as being Mr or Mrs Average, who are disregarded as being not within the determinants of ‘need’ and also not within the realms of the ‘wealthy’ who, frankly, are not concerned with everyday issues anyway given their immense wealth. The Blue Revolution is an entirely new concept in political thinking. Here is an approach to politics which welcomes political thought from any stance. Here is an approach which can totally restructure the accepted norms of political interaction. Here is an organisation which accepts and incorporates the input from the electorate without assumptions drawn. Here is a way of thinking which breaks through the traditional divide and welcomes views from any perspective and appreciates the contributions from a diversity of inputs, rather than disregarding them without any fear of retribution, since they are safely ensconced within the establishment that adopts a ‘laissez-faire’ conceptualisation. The Blue Revolution has, at its essence, a goal of reconciliation: It accepts that people are disillusioned with politics at whatever level, be it national, regional or local. How many times have you heard expressions such as this with regard to Brexit: ‘please, just get on with it and stop arguing?’ We accept the premise that ‘from little acorns, great Oaks grow’. We are not going to take over the leadership of the UK parliament for the foreseeable future: probably never; most definitely never. What we can do, however, is make a start. By that, we mean on the local level, here in Boston. We can make certain promises. We cannot be ‘whipped’ into a traditional party political system. That is because we are apart from that ideology: we are free-thinking individuals who will take on board the opinions from any political viewpoint, in full acceptance of what has been divulged to us. We can make a difference: a ‘real’ difference and here is the reason why. We will address the issues that affect you, as a resident of Boston, but without political confines. Whatever you think is a positive about our town which needs highlighting, or indeed a negative which needs investigation and relevant action, The Blue Revolution could be in a position to respond to you in a way that traditional party politics cannot do, especially in a Borough Council election, when one has to consider whether national party alliances have anything relevant to add to the local concerns and issues relating to our town. We, as an organisation, rather than a pre-determined labelled political party, would very much appreciate your support in our journey to ‘question’ what is accepted. We will attempt to do this in the spirit of inclusion, as opposed to exclusion, which the existing system necessarily encapsulates and encourages. Believe in yourself; question your opinions, and support your local Blue Revolution candidate. You know you want to, so here is your chance. This is what we are going to say. Boston like Britain needs to escape the clutches of the party system, where parties switch between “administration” or “opposition” with no workable opinion in the middle. At Blue Revolution we believe our elected members would speak only for you and you should vote for them, not the party they serve or, the party that serves them. How many times have we as voters seen politicians “tow the party line” against the interests of ordinary people. Nationally, our entry into the EU, tuition fees, the outsourcing of services, the use of debt to maintain services and the exporting of jobs are classic examples of political actions linked to vested interests. Locally we have poor public services, litter-strewn streets and rural isolation. This type of politics happens because people did not have enough of a say in how policy is formed and delivered. Parties we are told know better……we believe that is utter rubbish. 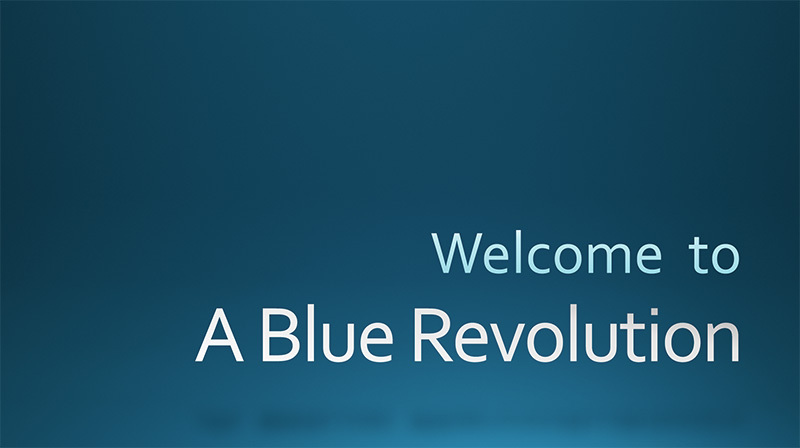 At Blue Revolution, we believe that your problems are our problems. We will be similar in our experiences of life our modest ambitions and frustrations, so we can represent you better than someone putting their party before you. As they do……it’s all anger from the left and inaction from the right! Please support your Blue Revolution candidate. Boston Lincolnshire. Should we develop the hub of global history ? Is this a daft idea or isn’t it? It depends like most things on perspective. To the unenlightened, the question might be about what exactly is Boston’s role in any hub of world history. Others may argue that the history itself is shaming and should not be celebrated. We believe that Britain in the 17th and 18th century laid down the global foundations of what was essentially a liberal bourgeois revolution. It was this revolution more than anything else which established freedom based on the commercial freedoms of Contract, Choice and Consent. These commercial freedoms have legitimately acquired a social character and therefore define our lives in a positive and liberating way. They underpin the politics of identity. If we care enough to look we can see where these freedoms are absent and if we are clever enough we can see how the absence of these freedoms distorts societies or distinct communities within society, restricting rights for many including women and the poor. The economic and religious freedoms that the Pilgrim Fathers and celebrated Bostonians took to America (from Plymouth, not Boston just to be accurate)laid the foundation for the Capitalist powerhouse that became the USA. Whilst these freedoms are not sufficient to create a just society you can’t have a just society without them. They are therefore an essential ingredient of any nation that wants to call itself “free”. So in the age of the internet and the decline of the town centre, Boston like the whole of Britain needs to work on it’s global narrative its Unique Selling Point, and place itself foursquare at the heart of one of the most transformational periods in world history, the revolution in freedom delivered to the world in the 17th and 18th century by Briton’s and Bostonians alike. Boston’s contribution to the world can be drawn on a flowchart of world history and can be linked to other British towns and foreign nations. We should not let being PC stand in the way of a remarkable and world-transforming story. We would like to thank the 283 voters who voted for me at the recent general election. The 2017 election was the start of a political journey which I hope will over time lead to greater levels of real democracy in Britain and so protect the interests of ordinary people from the power of the party system and binary, Punch and Judy, parliamentary model. Please have a look at our website www.ABlueRevolution.org and please remember that we welcome new members who can join us on what we hope will be an exciting and productive journey towards a more democratic and fairer political system, please read our manifesto. We know that our proposals will better reflect the expectations of the ordinary worker and tax payer. We are here to represent you and if you feel like us we would love you to join us too. Street lighting is far more complex an issue than Lincolnshire County Council (LCC) has to date considered it to be. A bit like library closure perhaps. Whilst some rural areas and town centres may either benefit from lights out, allowing the night sky to re-establish its prominence or don’t require it as there are sufficient shop lights to illuminate the area, there are those areas where the lights out is clearly a hazard. Most noble amongst which is Woad Farm estate. The complexity of the issue must not be used to justify us swerving it, as it affects some of the most vulnerable communities in Boston. It is simply not acceptable for LCC to increase Council tax and then claim it is necessary to make “essential” cuts whilst paying some senior managers six-figure salaries with pensions to boot. This situation has built up over many decades where general tax payers and council tax payers are increasingly funding wage levels that lift too many government workers into the financial fist division. This wage structure owes more to the nineteenth century than the twenty-first century and governments and local authorities need to stop and think about the people on average wages and lower who pay them and thus the majority the people they are supposed to serve. LCC should be shamed into adopting a more considered policy on lighting, switch off where it adds value to communities and switch back on where the same thing applies. Like Woad Farm Estate in Boston. We pay for and consent to lighting our streets, I don’t think we have consented to six figure salaries for officers. Like life before Brexit we have never been given an opportunity to comment. Like all County and Borough Council services where communities need it and pay for it communities should get it……or give the job of providing it to someone else. The communities themselves perhaps. The history of politics, simplified. Are we at risk of destroying values of equality because they are identified as ‘western’ values? The elite are scared of the reality of humanities final ‘revolution’! 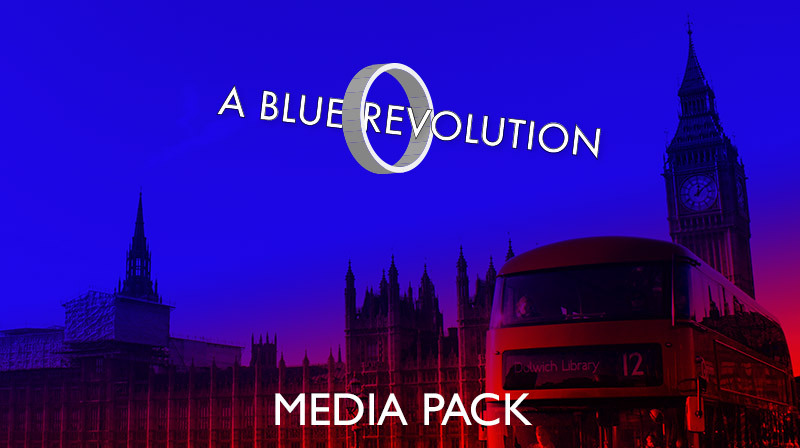 If you feel A Blue Revolution is a cause you agree with and can support please do give us a donation to keep the platform going. Any help you can give will be greatly appreciated. © A Blue Revolution - Promoted by Tom Gilbert of 22 Tower Street, Boston, Lincs PE21 8RX - All posts on this website have been cleared by our editorial team.